Who says bigger isn't better? Certainly not the cell phone designers. 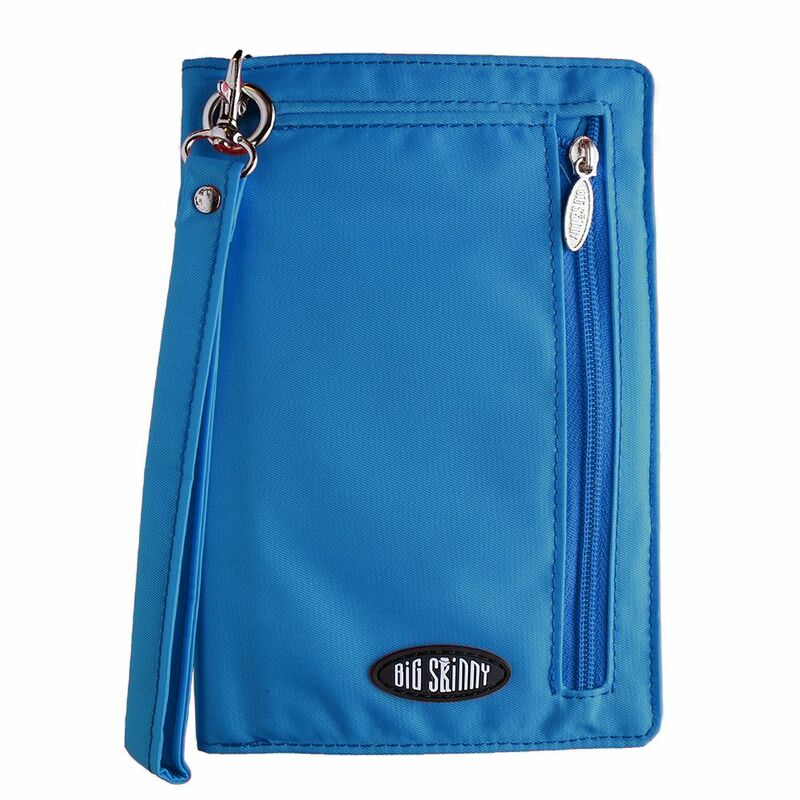 Our plus-sized MyPhone wallet, now also available with RFID protection [which helps keep your data safe!] offers all the same features as our regular Myphone wallet, but with extra room for your super sized smartphones and cases. Big enough to fit Galaxy S3, Galaxy Note, Iphone 5 and most Otterbox cases. Love the wallet. Thin and holds all my valuables and cell phone. I definately recommend it. It even fits my passport with ease. It is perfect for travel. Holds so much with out bulk. Assume the RFID feature works ... no way to KNOW that for sure, of course. Only regret is no choice of color ... not a fan of this color/almost didn't buy. Hopefully by time I need a replacement there will be more choices. Or you'll exchange for better color... that would be the best. I have now purchased 3 wallets for me and 2 for husband. So, definitely a Big Skinny fan. This wallet was exactly what I wanted. I've had a smaller Skinny wallet for a few years but I was always fishing around for my cell phone in my purse. Now, wallet and cell phone are one AND skinny. RFID is a plus. For travel or every day-This works both ways! I originally purchased the RFID plus size for travel, it being more secure and able to hold a passport. Also it has a zippered coin pocket, so important in Europe where coins are much used. Love the color and features so much, I use it for every day. Fits in my purse or if I want to run out for short errands, I strap my smallish iPhone onto the back and use the wrist strap. I had also ordered a small Skinny but this wallet serves all my purposes so I returned the small one for a refund. Have received compliments. Have had the skinny wallet for some time and find it covers my travel needs for credit cards, cash, and my passport in a pocket. The RFID provides additional security and I love it! Love it, and all my credit cards fit smoothly. This was the first time I purchased a "Skinny" for myself (lots of wallets for spouse, kids and friends, men"s wallets) and won't be my last. the color is very pleasing with enough contrast to see cards while wallet is inside purse. the zipped pocket, however, is mostly useless. otherwise this wallet is as expected and satisfactory. 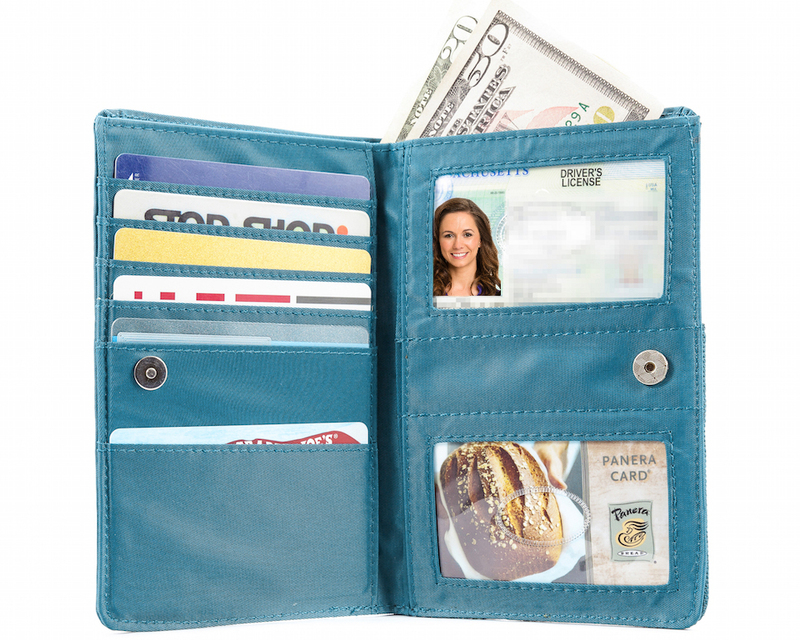 the zipped pocket oddly opens in wrong direction (vertically), thus coins can fall out when slipping cards or bills in/out. with contents (cards, bills, phone, etc) all inserted from the top, why would the coins be treated differently? will watch for design improvement. Two of my friends bought one after seeing mine. Mine has a wrist strap, which is very handy. After more than a year it still looks brand new and is in great shape. If it ever wears out, I'll have to get an identical one. I like the color a lot but wish they had some other choices so my friends & I don't all have the same one. ProsLight weight, slim, well made. 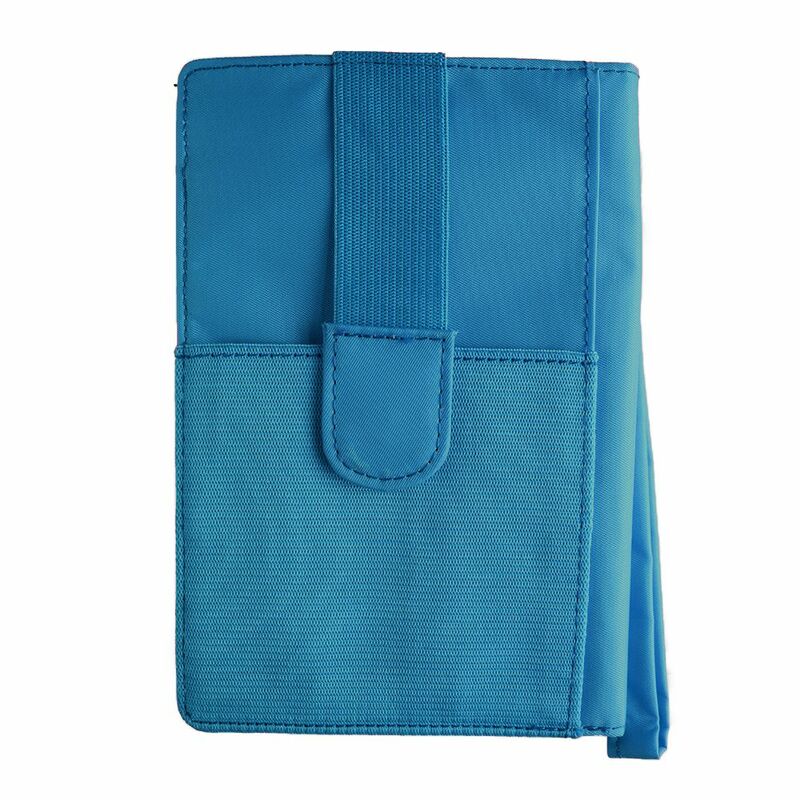 RFID Blocking Nylon Plus-sized myPhone Wallet, love it.